From facts about Franz Kafka, how Amazon treats Intellectual Property (IP) to a double-decker concept plane that can take off vertically... this weeks Random Articles is quite a mixed bag. Enjoy with your favourite beverage... My wife's been making me coconut milk lattes, they're tastier than I expected. Even today, Franz Kafka remains one of the most celebrated practitioners of absurdism that the world of letters has ever known. Born to an Austrian Jewish family around the turn of the 20th Century, Kafka spent most of his life working in obscurity, paying the bills with an insurance job that he reportedly loathed, only to gain a huge audience after his death on the strength of such classics as The Trial (1925) and The Metamorphosis (1915). Here are some interesting facts about him. I would like to say that my reason for having hundreds of children’s books is that I have two small children; however, I owned most of these books pre-children, pre-marriage. I’ve always loved children’s books, and I am sure I’ll continue collecting even when my own children have moved on to Seamus Heaney and Mary Oliver (fingers crossed…). In college, I wrote three senior theses (true confession! ), and I continued my lit studies in grad school—I was hooked on finding deeper meaning in every piece of literature that came my way. And you don't even get to choose whether you get a real or a fake. (This is happening with ebooks too -Wolf McT) While I know that a lot of you have a love affair going on with Amazon Prime and their seemingly amazing two-day shipping, you should know that you’re not necessarily going to get what you think you’re ordering… and, based on our experience and what I’m reading in the media, even after receiving reports of counterfeit merchandise, Amazon will not necessarily work to guarantee the items they are shipping are authentic merchandise. They also will not intervene on the manufacturer’s behalf to ensure that the products they are selling are in compliance with intellectual property laws. The radical concept from designer Oscar Viñals would reach a top speed of Mach 3 (approximately 2,300mph) – cutting transatlantic journey times in half. 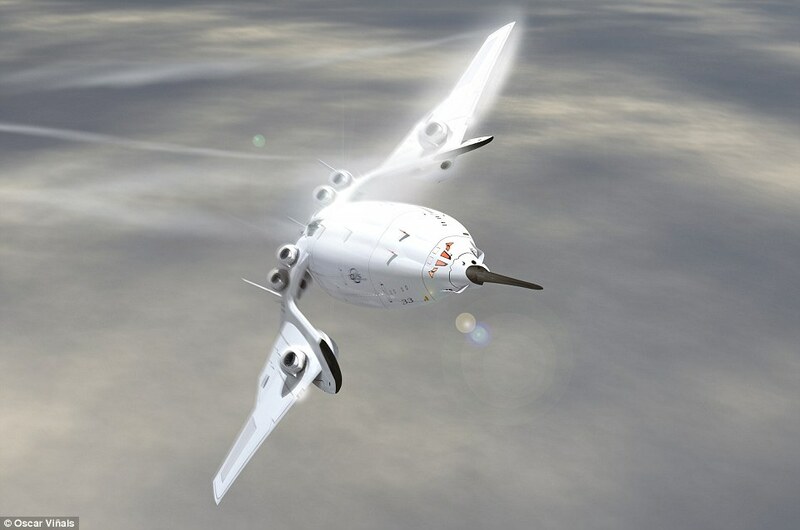 Viñals’ double-decker plane, called Flash Falcon, resembles a bird or even a spaceship and is intended to be an eco-friendly aircraft that is powered by nuclear fusion energy.